St Mary's Parish Church is at 14 St Mary's Street in the city of Truro, on the north-western side of High Cross and Old Bridge Street. 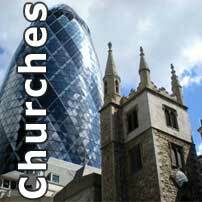 It was built as the city's mother church in the mid-1200s, and was consecrated on 28 September 1259 by Bishop Bronescombe. On 6 November 1328, Bishop Grandisson dedicated a major rebuild, which was completed about 1518, with chancel, nave, north and south aisles, organ loft, grammar school gallery, north gallery and vestry. 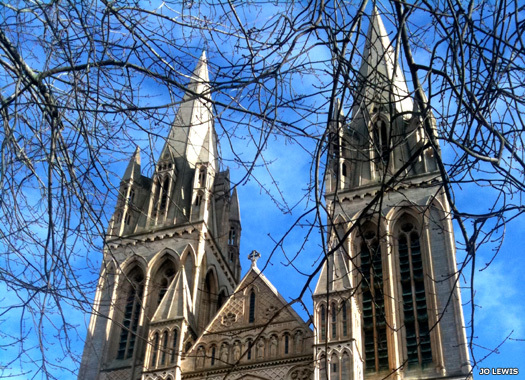 St Mary's church was dismantled in 1880 when construction of Truro's cathedral began. Architect John Loughborough Pearson argued in favour of keeping at least part of the old parish church. He cleverly incorporated the south aisle (now known as St Mary's Aisle, highlighted here) into the new design, so that the diocese's mother church has a 'protective arm' around one of her daughter churches. The old spire has recently been returned to the cathedral grounds. The Cathedral of the Blessed Virgin Mary was the first cathedral to be built on a new site since Salisbury was started in 1220. The diocese of Truro was created by parliament on 11 August 1876. Foundation stones were laid on 20 May 1880 by the duke of Cornwall (later Edward VII). One was at the base of a pillar placed in St Mary's churchyard, eventually to form one of the pillars in the nave of the new cathedral. The funds were not yet even confirmed to complete the work. The Victorians undertook a massive building project in the same architectural style as medieval cathedral builders to create the landmark building. They adapted the classic pointed arches of the Gothic style using modern building techniques. 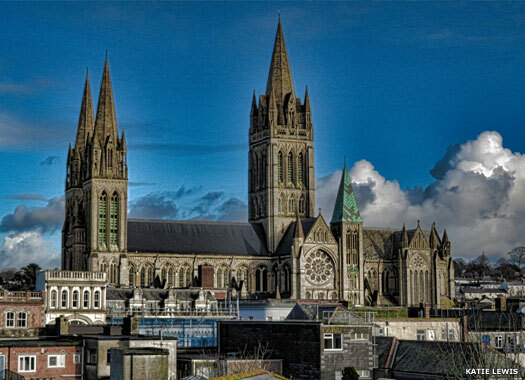 Truro is one of only three cathedrals to have three spires, with the the western ones reaching sixty metres (200 feet). The first section of the cathedral was consecrated in 1887, with the building finally completed in 1910. 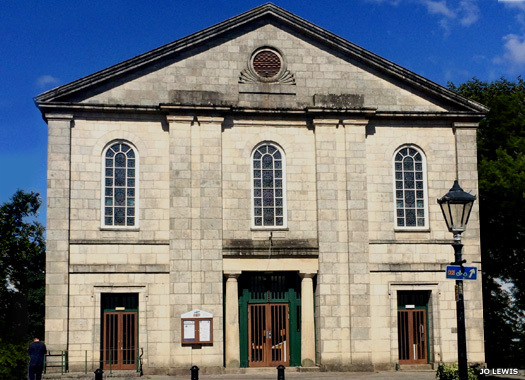 St Mary's Methodist Chapel lies immediately north of the cathedral, at 18 Union Place. 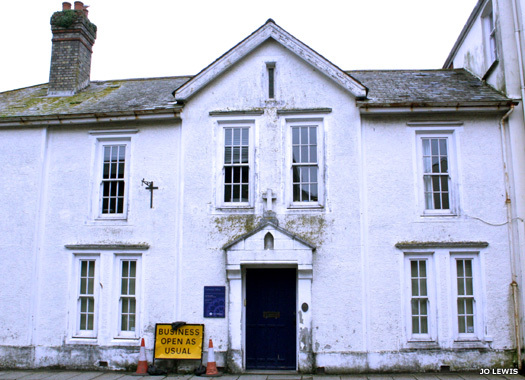 Date stones on the building indicate that the chapel was built in 1830 and the adjoining schoolroom in 1868. The design was by Sambell, the deaf and dumb architect. An 1885 restoration by Sylvanus Trevail appears to have included the installation of gas lighting, raising the roof, and erecting a new ceiling. The Grade 2 listed building now also hosts the Tresillian congregation. The St Clement Street chapel, virtually opposite the Campfield Hill junction, was built as a Bible Christian Chapel, possibly in 1838. It was renamed the St Clement Street United Methodist Church at an unknown date, with a minor change to St Clement Street Methodist Church coming later. With post-war congregations declining, the chapel was closed and was sold in 1976. It is now a thriving specialist wine retailer, possibly not to the approval of John Wesley. 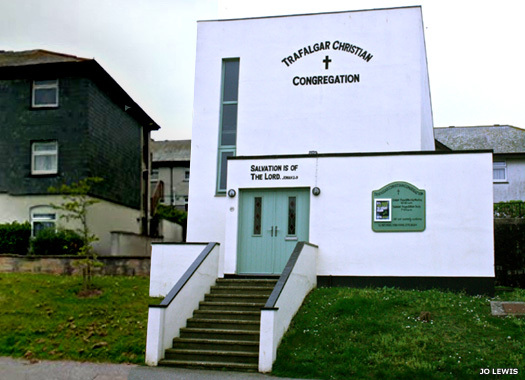 Trafalgar Christian Congregation Chapel lies on the northern side of St Austell Street, virtually opposite Furniss Close and only about 120 metres to the east of St Clement Street Chapel (see above). This part of Truro was known as Trafalgar Square. In the 1960s it was transformed to create the modern access with Trafalgar roundabout. This starkly modern building - still in use today - carries a level of architectural grace and houses a religious charity with offices elsewhere. 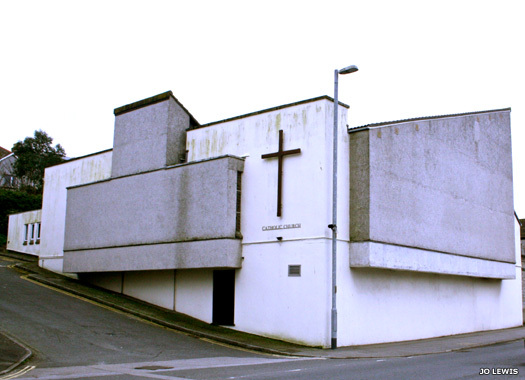 Our Lady of the Portal and St Piran Catholic Church is on the north-eastern corner of St Austell Street and St Pirans Close. 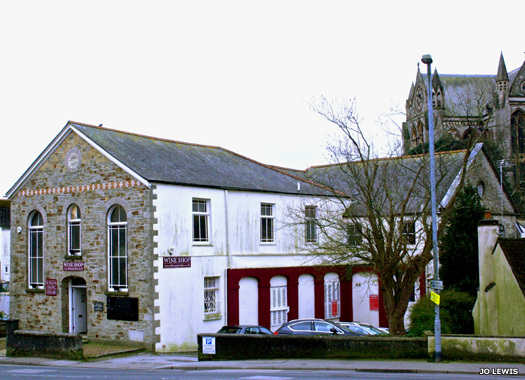 With St Piran's Chapel on Chapel Hill now too small, in 1964 the decision was made to buy land on St Austell Street, and the present building opened on 17 May 1973. Somewhere nearby, a long-lost medieval chapel with the same dedication existed by the town's entrance. Fifteenth century wills mention leaving money to support it. St Mary's Quay old building lies at the north-eastern corner of Old Bridge Street and St Mary's Street, within a stone's throw of the cathedral. The building is sometimes shown as being a former chapel, but today it serves as the cathedral's offices. 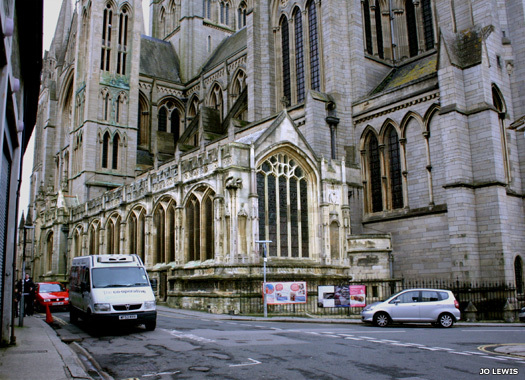 It is not a listed building, unlike many of Truro's chapels, and no history can be found of any other church or chapel which may previously have occupied this spot, either in this building or in an earlier one. Ebenezer Methodist Chapel sits on the south-eastern corner of Castle Street and The Leats. This large chapel was built in 1834 with enough seats for 900 people. 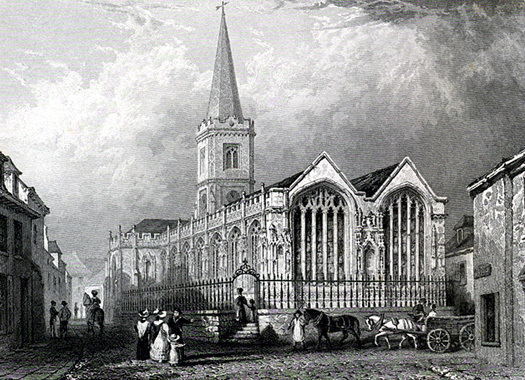 It became the New Connexion Chapel in 1841, with John Graham serving as its first minister. Baptism records continue until 1906. 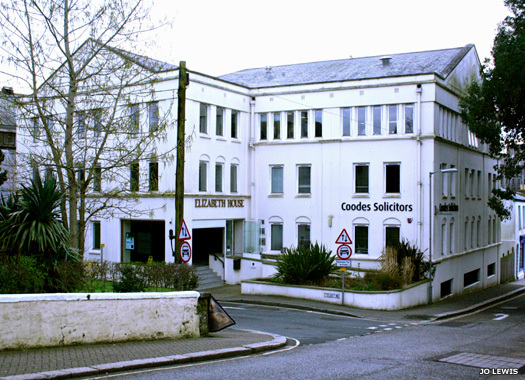 It may then have been an auction house but is now a building known as Elizabeth House containing local businesses. Its original shape and size can still clearly be seen.